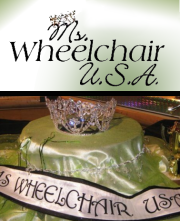 Ms Wheelchair USA is an annual televised pageant for women with mobility challenges. 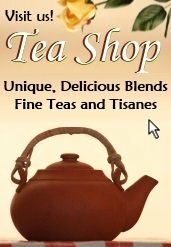 The competition promotes self-confidence and service to the community. Rather than emphasizing the physical beauty of participants, the pageant aims to highlight women in wheelchairs who have overcome adversity in order to make admirable contributions to society. Lowery Lockard, who founded the competition in 2005, was involved in the Ms Wheelchair America pageant for several years, but wanted to create an alternative pageant that further celebrated these exceptional women's accomplishments and contributions to society. Although the judges do not place points on beauty as in traditional beauty pageants, they do place points on qualities like a woman's apparent sense of self-worth, strength of character and confidence. Judging includes evaluating the contestants' clothing choices, style and personal appearance. What Makes This Pageant Distinctive? One of the factors that make this pageant unique is that all of the contestants must prove their commitment to a particular charity or social issue, and it doesn’t necessarily have to be disability-related. Moreover, although a typical pageant beauty score is not used, contestants are encouraged to display their femininity with pride and show the world their glamorous side in a unique, personal way. Contestants have to pay an entry fee to participate at both the state and national levels, but they are encouraged to find sponsors to pay their entry fee. The entry fees are used to fund the state and national competitions in addition to covering the expenses of national contestants and their chaperones. To qualify for the competition, you must be a woman over the age of 18. There is no age limit, so seniors even qualify. There is no marital status requirement, and contestants may have children, grandchildren, great grandchildren, or no children. 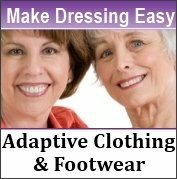 Although the program does not specifically exclude women with leg mobility, contestants who do not rely on a wheelchair or other mobility device as their source of daily mobility do not qualify. Yet, it is not required that you use a wheelchair 100% of the time. Additionally, contestants must be residents of their state for at least two months to be eligible. 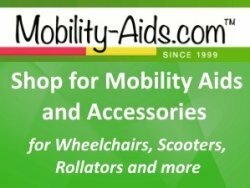 For more information, please visit mswheelchairusa.org, call 330-612-5242, or send an email to info@mswheelchairusa.org.